Why Are The Vitamix Blenders Beating The Competition? Many smoothie and shake enthusiasts are raving about this blender. You can’t blame them as this brand of blender is proven to be top-rated in the marketplace. For some people, they think that this is just an ordinary kitchen appliance that can blend ingredients. Keep reading more Vitamix reviews below. This is more than just an average piece of equipment that can be displayed on your kitchen counter top. Instead, it’s a machine that can make a delicious green smoothie in seconds. Even if you leave the hulls intact, it will still give you smooth texture. 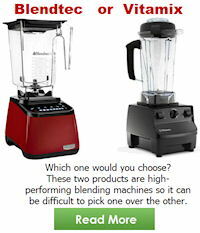 Vitamix Reviews – What are the most popular models? In this review, we’ll explore the different popular Vita-mix units available on the market. Perhaps, you’re intrigued about how this brand works in grinding ingredients or cooking a soup. Just like other people, you’ll surely be tempted to know what’s in store for you if you pay up to $500, say for a Classic 5200. Let’s take a look at how the most popular models perform when tested. The 5200 model is described to have a blending quality similar to that of a commercial unit. It’s one of the most popular selling blenderss. This model could be one of the best whole food blenders made. 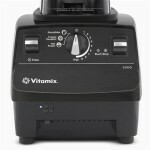 Reports have shown consumers who bought their first Vita-mix 5200 over 20 years ago are still running strong. Some families like this blender so much they made it a tradition to pass down or buy a new or refurbished model for their kids and relatives. It includes an on/off switch, a toggle button to switch from variable to high speed, and a dial control (1-10) to choose any type of speed. The speed dial is designed to chop foods or grind meat while keeping control of the blending process. This blender is very easy to use according to several blender reviews. It comes with a DVD which provides you with a tutorial teaching you how to properly maintain and use the machine. The Whole Food Recipes cookbook is also included loaded with 100’s of delicious recipes. This unit comes with a tamper for thicker ingredients, such as peanut butter, and the owner’s manual. BPA-free Eastman Tritan® copolyester jar is also included, as it’s with all Vita-mix blenders. It’s an advanced model in their lineup that comes with different settings and employs smart blending technology. With this in mind, you can easily produce delicious and nutritious recipes with ease. If you’re one to make healthy smoothies, frozen drinks, sorbets, and hot soups ridiculously with ease, this blender could be what you and your family have been long waiting for. It has a powerful motor that allows its blades to propel up to 240 mph. With that rate, it can easily blend or mix the toughest food ingredients in a matter of seconds. Plus, it has pre-programmed blending cycles that can give you the simple ease of walking away while blending your favorite recipe. 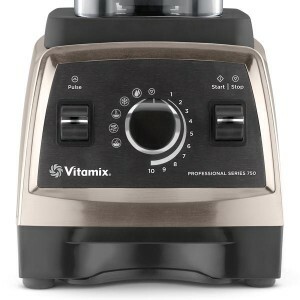 The Professional Vitamix 750 is the highest price home blenders from Vita-mix. It includes 5 preset settings to make smoothies and other preparations effortlessly. Another notable difference of this model is its shorter, wider blending jar so it can easily fit under regular cabinets. Compared to other traditional blenders, this one runs in 2.2 horsepower motor. It can handle any type of blending tasks that you want it to perform. When compared to the 5200, for instance, this model is quieter. It’s also easy to clean and can help you make smoothies with one-touch operation. The 750 professional series has been a “life saver” for many. Because of the high price tag of owning the 750 you may second guess your impulse to purchase this unit. It’s understandable. But, here’s something for you to consider. 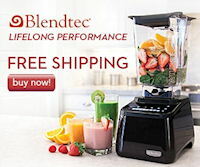 Do you want to have a high performance blender like the professional chefs use? If yes is your answer, the 750 Professional Series is the one to have at your fingertips! Most blender reviews consider the Professional Series 300 to be extremely versatile and durable. Its motor is a 2.2 peak horsepower with wider blades providing you more than enough speed to blend ingredients. 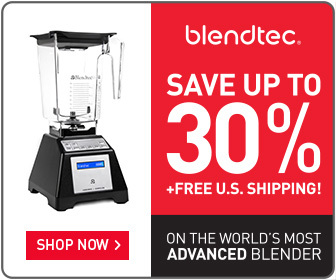 You can use the pro 300 everyday and this blender won’t miss a beat! Should you splurge on it? Absolutely. This machine is more affordable than some of the other models of Vitamix but it’s still powerful enough to make everything, from juices to ice cream to smoothies. It may not be the all-in-one appliance like the Vitamix 5200, but it’s very close. New to the line-up is the s30 personal blender. The s30 gives you the durability and power that comes with all Vita-mix blenders. The main feature with the s30 is its compact carry-a-long mug giving you the ability to take your vitamin packed drink on your journey. When you buy the Vita-mix s30 blender it comes with 2 containers. The 20 ounce travel mug is the container you take on the go! While the 40 ounce container is suitable for small batches of your favorite healthy recipes. Also included with the 40 ounce container is a tamper to help with thicker recipes by pushing down on the ingredients. If you’re looking to elevate your culinary kitchen skills the 7500 should be first on your list. Unsurpassed by its performance, this machine takes the toughest ingredients and blends them into a “smooth” consistency leaving no chunks of any kind. The 7500 comes with a compact 64 ounce container, which is ideal for storing on your counter tops and below your cabinets. You won’t be disappointed with the power and design of this model. This model is one of the latest additions to Vita-mix blender’s lineup. It offers consistent power when you blend even the hardest food ingredients. It’s also easy to use. 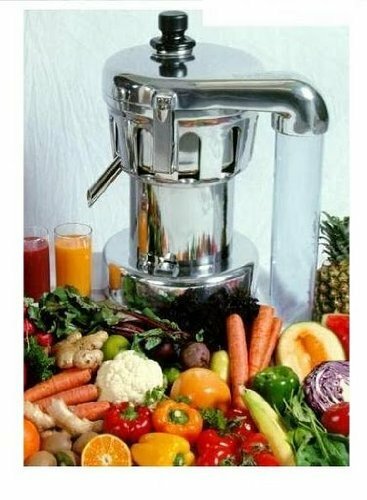 Many users who leave comments on the Vitamix reviews have sworn that this machine is worth every penny according to the statistics. It may cost you more than $500 but it offers real value for you money considering the fact that it can blend almost anything that you put into this machine. This is a type of blender that you need if you’re a foodie who always wants to make smoothies or salsas every day. You’ll be more than satisfied despite its steep price. When it comes to its blades, it can turn up to 37,000 RPM. With that in mind, you’ll surely want to blend almost everything. The 5300 comes with 2.2 peak horsepower and a variable speed dial with pulse control. This blender comes with a low profile 64 ounce container which is ideal for making larger batches. Plus with the pulse feature you can control manually your blending needs. don’t wait! Invest in your health with this high-performance blender. 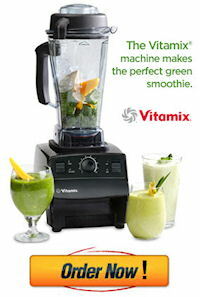 When it comes to performance, you can’t go wrong with Vitamix, regardless of the model you choose. It always lives up to your expectations. 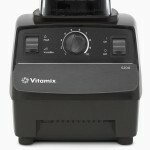 As one of the best performing brand of blenders, Vita-mix models can create endless nutritious foods effortlessly. Each model comes with a powerful motor that can handle any type of load, be it heavy or regular. Most of its high-end models can even handle complicated blending tasks than most commercial blenders. The only downside of this brand is its hefty price tag. But it’s all worth it. It’s surely a great investment and it’s sturdy enough to last for a very long time. Statistics prove this point. If you’re one who gets the “buyer’s remorse syndrome” we can guarantee this will be gone within just days after using your very own high-powered blender. And if for some reason you’re not 100% totally satisfied, you can return the blender for a refund on both purchasing and shipping costs at no cost to you! You read it correctly! You can give any Vita-mix Blender a test run for 30 days. If you’re not completely blown away by its performance just return it for a full refund! Which model will you choose? Click on the button below to get the best price on any model you decide on.